The Pitcairn Islands form the south-easternmost extension of the geological archipelago of the Tuamotus of French Polynesia and consist of four islands: Pitcairn Island, Oeno Island, Henderson Island and Ducie Island. Both Oeno and Ducie are atolls. 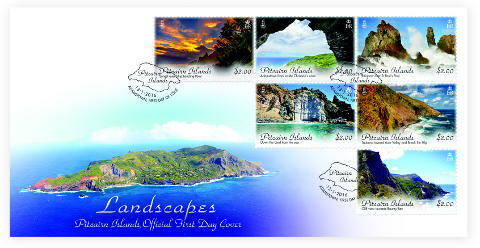 This issue concentrates on Pitcairn only and focuses on the striking landscape formations. The Island was formed by a centre of upwelling magma called the Pitcairn hotspot and has a land area of 47 square kilometres and a coastline of 51 km. Its rugged volcanic formation consists of a rocky coastline with cliffs (27%), rolling land with a number of valleys (31%), steep sloping land (34%) and a relatively small area of flat land (8%). Pitcairn�s sheer and inhospitable cliffs do not allow easy access to the sea. They stretch from Hulianda Ridge, just above the landing at Bounty Bay, round the south-east corner to St Paul�s Point, through Down Rope with its little beach, past Gudgeon to Christian�s Point at the western extremity. Much of the land on the western side is very steep too. The highest point is Big Ridge is 347M above sea level. In the north from cliffs over 60M in height, the land rises a little less precipitously to about 270M and the slopes of Flatland (which nestles in the centre), run comparatively gently downwards to the north-east and the settlement of Adamstown. 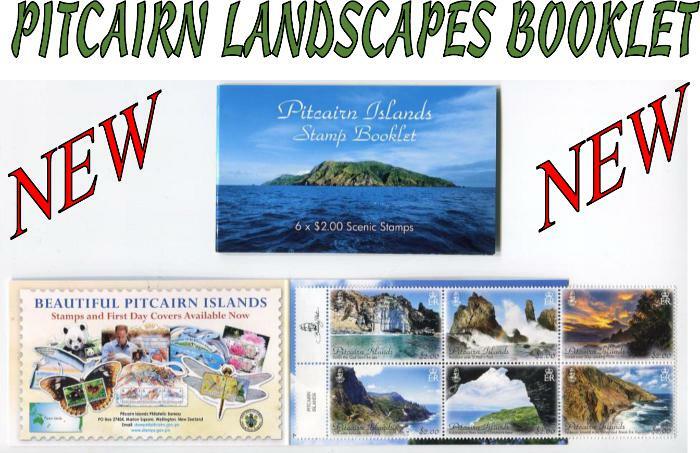 The images chosen represent a cross-section of Pitcairn landscapes. Their rugged beauty showcase the stunning vistas this island has to offer. central gutter and vertical selvedge down the centre of the sheet. Acknowledgement: The Pitcairn Islands Philatelic Bureau wishes to thank Tony Probst (USA) and Andrew Randall Christian (Pitcairn) for their valuable help in providing images for this stamp issue.